Physicians are not the only people involved in our medical care. If you are hospitalized, and require surgery, there will be many medical personnel involved your care. Those involved in your surgical procedure are bound by an oath to do their utmost best to keep you safe from harm. One, whom you may give little thought to, is the anesthesiologist. Their sole responsibility is to keep you alive, while not allowing you to feel the pain of the procedure. The medication used to keep your body at a state close to death can be just as deadly as a scalpel. Any number of mistakes can occur that could cause heart attack, stroke, and injury to the brain or lungs. If the outcome of your recent surgery was marred by an error with the anesthesia, contact an attorney. They will help you determine if the who was at fault. Before your surgery, the anesthesiologist should consult with you to discuss your medical history, particularly as it pertains to drug interactions. At this time it is their responsibility to also educate you about any food or drink restrictions. Some anesthesia requires that your stomach be empty. During surgery, the anesthesiologist is monitoring the equipment that administers your anesthesia. He is making sure that not only are the correct medications entering your body, but also at the correct dose. He pays close attention to your vital signs and alerts the surgeon to any unsafe fluctuations in heartbeat or respiration. If an anesthesiologist is giving you, the patient, their complete attention during the procedure, there should be reason for concern. If they deviate from the proper standards of medical care, they are putting your health, and life at great risk. If a patient is not properly anesthetized, the medical procedure itself can be compromised. If the patient suddenly has a rapid drop in heartbeat from too much anesthesia, the surgeon may have to halt the surgery until he can be stabilized. Too much anesthesia has also been known to cause strokes and heart attacks during surgery. If your surgeon explains to you that your procedure was compromised by an unforeseen complication such as a stroke, contact a medical malpractice attorney. An experienced attorney will help you determine from your medical records if the complication was caused by a negligent anesthesiologist. In some instances, an unmonitored patient may experience delays in respiration. The lack of oxygen can lead to brain damage or a coma. In rare cases a patient is left in a permanent vegetative state. Epidural administrations pose their own special risk to the spinal cord of a patient. If not properly placed, a patient could end up paralyzed or receive an overdose of anesthesia. If you or someone in your family has suffered from medical malpractice due to an anesthesiologists’ error, you are entitled to seek damages. Your first step should be to contact a St. Louis medical malpractice attorney. Settlements of up to $2.5 million have been reached in our state for patients who have suffered brain damage as a result of an anesthesia overdose. Hospitals and their personnel have large insurance companies at work to try and keep settlement pay outs low. A lawyer specializing in these types of cases can help you get the compensation you and your family deserve. 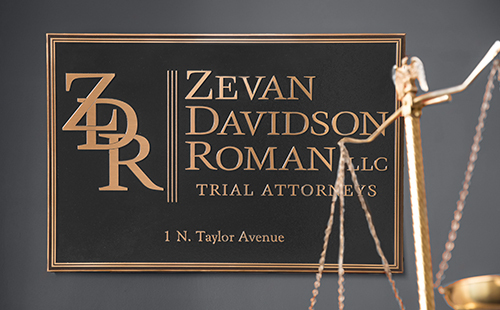 At the Zevan and Davidson Law Firm, we have a proven track record of taking on complex medical malpractice cases and getting results for our clients. If your family has suffered due to medical negligence, you deserve justice. Contact our law firm by calling (314) 588-7200 or contact us online to schedule a free and private consultation.